This beautiful initial disc bracelet in sterling silver features a disc charm on a fine chain and lobster clasp, giving a modern, sophisticated look. 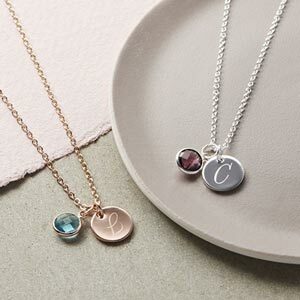 Included in the price is the option to have an initial of up to 2 characters, making this bracelet a unique personalised gift for a loved one or a special treat for yourself! Made from sterling silver and rose gold plated sterling silver. 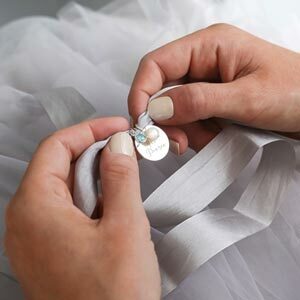 Why not add a Swarovski birthstone charm to make your bracelet extra special. Beautiful product, the chain is quite delicate so looks pretty, hope it stands the time though. Beautiful piece, love wearing my bracelet daily.